love your pink on pink outfit! Nice work on the clutch! It looks very nice with your outfit. I'll have to try my hand at making one too! wow awesome outfit! love it! you look super chic in these photos! Love this outfit! The pink dress look really cute on you! That is beyond cool that you made a DIY duct tape clutch! Pink is SO your color. Love it on you! 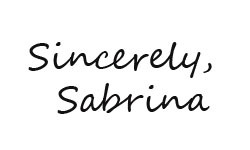 thanks for your beautiful comment sabrina. your style is beautiful. Such a unique clutch :) Love your necklaces too! Cute look! Love your shoes! Fun bag! I love your outfit and the ingenious tape clutch! Thanks for visiting me and leaving a comment. I appreciate it! your duct tape bag is so cool. I read the DIY and i love it! I love your whole outfit (include the duct tape bag! Whhhaaatttt??? How awesome! )...but I really LOVE your jewellery!!!!! I just wanted to say thanks for following my blog and that I've followed yours back! Genius on the duct tape clutch!!! I mean seriously?!? You are a master!!!! LOVE IT!! You may have just started a trend!!! Thanks for stopping by my blog! New follower!! this outfit is so pretty! love how you broke up the girliness of the pink with your accessories.